Used to be, sleeping in an RV was a step down from staying in a hotel. In the past few years though, the cool kids have started paying big bucks to go old school: Trailer park sleeps are proliferating from here to South Africa. Herewith, a look at seven retro-chic boutiques where you can camp out in a vintage RV, Airstream and otherwise. Not content to simply spend a couple nights? You can buy fully tricked out trailers for "just" $57 746, reports Design Sponge. 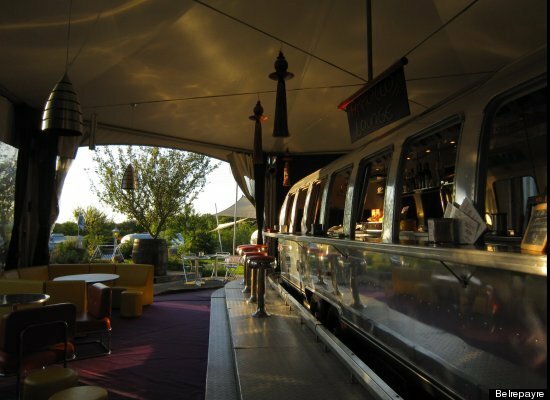 <a href="http://www.airstreameurope.com/">Belrepayre Airstream & Retro Trailer Park</a> This French resort claims to be "the first vintage trailer park in Europe," and with 10 Airstreams on hand, it's likely the largest, too. Tricked out to fit themes as diverse as Studio 54 and Starship, the trailers can be let for as little as €85 a night, with a stay of three or more nights. A bonus: Soaking in the camp's cedar hot tub in the foothills of the beautiful Pyrenees.